Quality is important to us. Working with demanding welding and machining requires that we comply with a certain set of regulations and standards. By implementing standards we can ensure that our products are of consistent high quality. 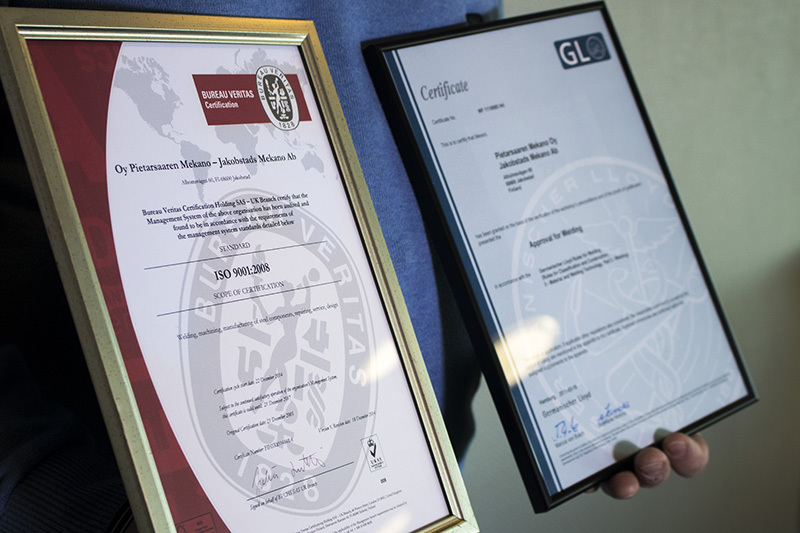 Mekano’s quality management system is certified to ISO 9001. Our welders have personal welding qualifications in accordance with EN 287-1. Our welding procedures are qualified in accordance with SFS-EN ISO 15614-1. Mekano regards the work as an entirety, with planning, careful consideration and a solution that surely works.